The ENESSERE Hercules wind turbines will learn local wind patterns and predict optimum working periods. Wind turbines have been lauded as an alternative energy source, but have suffered from negative associations due to the way they look and its inconsistent net energy production. But Italian-based ENESSERE are addressing these issues to promote wind as a viable source of green energy. 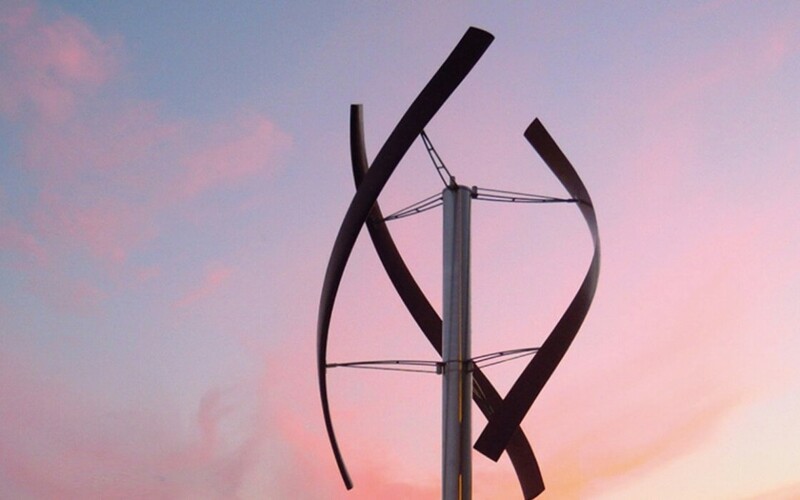 Bringing together a team of engineers, designers and master craftsmen, ENNESSERE have developed a highly functional turbine that aims to change NIMBY attitudes. The contoured cedar wood sails of the rotating turbine have been designed to accentuate their surroundings. The turbines are small and targeted towards homeowners, with natural wood aesthetics made to appeal to garden landscapers. The sail design promotes wind capture from any direction, and is capable of generating enough power for the average family home throughout the year. Developments are underway to make the turbines smart — they will learn local wind patterns, predicting optimum working periods and power down during low wind activity. The ENESSERE Hercules turbines are currently only available in Italy, but production will be expanded to other countries later this year. By approaching technology from a design perspective, the company could help make a viable alternative energy source desirable for a family home or business. Can a design approach be used for other industries with public perception issues?